Want to make a dramatic entrance at your wedding? I can't think of a more perfect location than the National Museum of Women in the Arts in Washington, DC. The NMWA's Great Hall and Mezzanine, pictured above, stun with dual marble staircases, crystal chandeliers and decorative marble flooring. For the artistically minded brides and grooms, works of art from NMWA's collection of women artists line the walls of the hall and Third Floor Gallery. 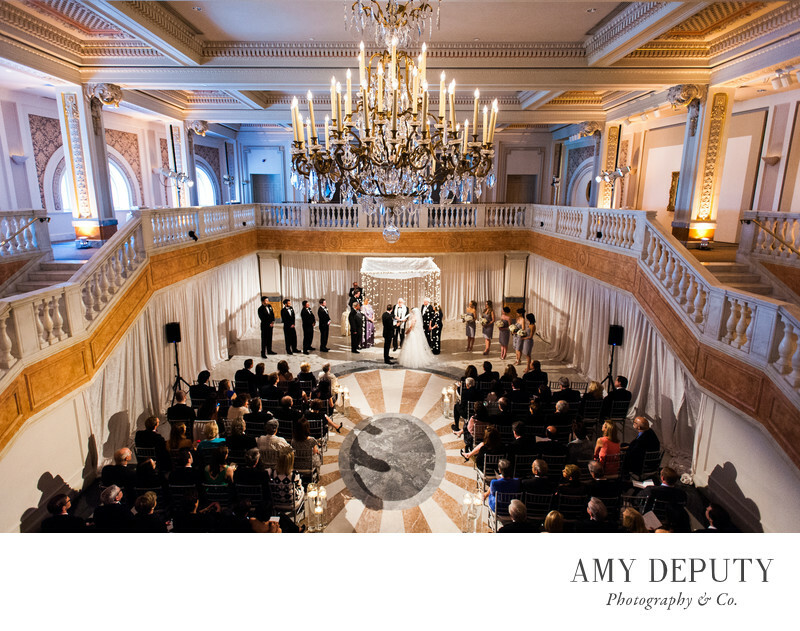 The luxe space evokes a sense of grandeur, fitting for such an important occasion as one's wedding day. Location: National Museum of Women in the Arts (NMWA): 1250 New York Ave NW, Washington, DC 20005.